Long time, no Vitamin C Serum Review! 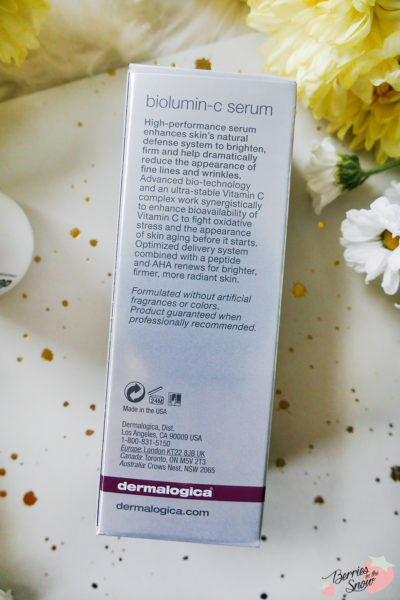 But today it is time for a new Vitamin C Serum I have in use these days, the Dermalogica Biolumin-C Serum. 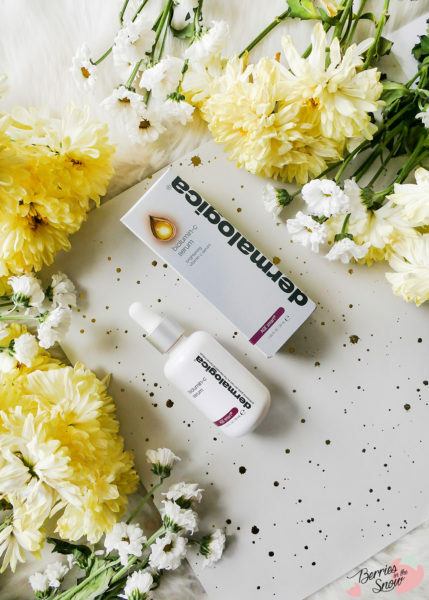 Dermalogica is an American Personal Care company and their products are sold in more than 80 countries all over the world. that means that it is quite likely, that you have heard of this brand before. Ascorbic acid (Vitamin C) is always good to have in your skincare routine. 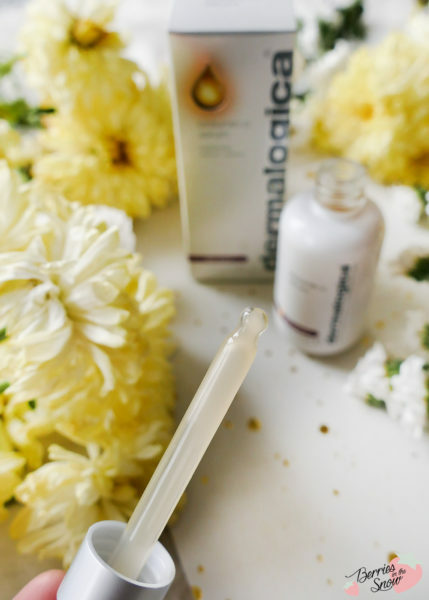 I have tried a couple of serums in the past (check >>here<<). Vitamin C is an antioxidant and thus can prevent our skin from aging too early and from sun-damage. A high concentration of Vitamin C doesn’t mean automatically that it is more effective concerning anti-aging. Normally, a high concentration of Vitamin C aims at a visible effect, because it tends to operate as a chemical peeling by loosening dead and old cells. 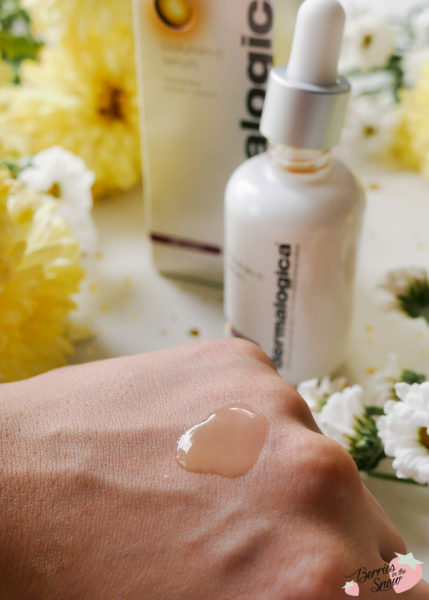 This is not a bad effect and stimulates the skin to regenerate itself, but keep in mind that it won’t affect the inner cell layers of your skin which have to be aimed if you really want an anti-aging effect. The thing about Vitamin C is, that it oxidizes with time, and you have to use it up very quickly. You will see as the color of some serums will get more yellowish with time. A possibility to prevent the vitamin C from oxidizing is to stabilize it with ferulic acid or vitamin E or use derivates. 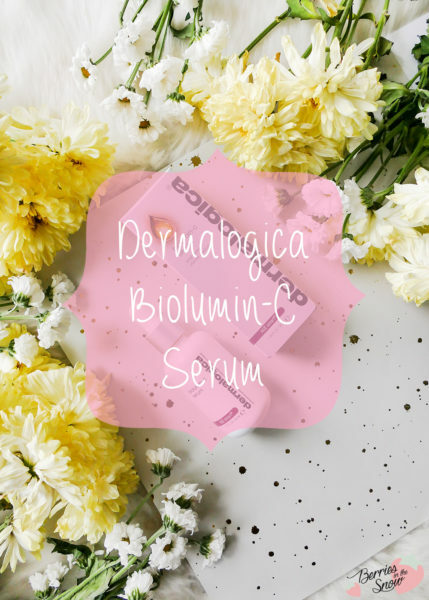 The Dermalogica Biolumin C Serum uses the approach of an ultra-stable Vitamin C Complex. 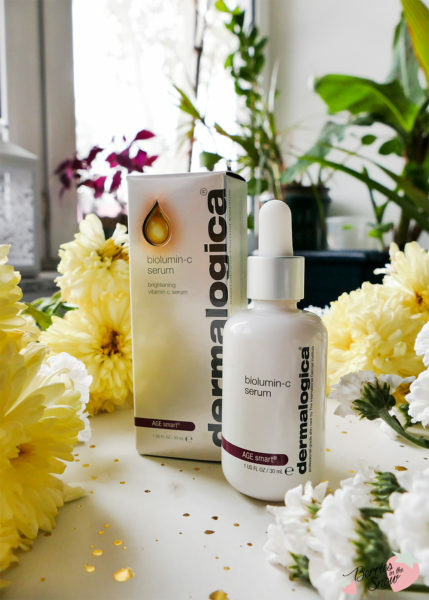 According to the description that you find on the cardboard box of the product it says that the Dermalogica Biolumin-C Serum is a high-performance serum that enhances the skin’s natural defense system. It acts brightening, firming and reduces the appearance of lines and wrinkles. Additionally, it is combined with AHA and peptide in enhancing its positive effects on the skin. The cardboard box also lists the ingredients of the serum on one side. The AHA used in the serum is Lactic Acid. You can also see how Vitamin C derivates have been combined with Vitamin E (Tocopherol). The product is free from paraben, sulfate, alcohol, and silicone. Also, it contains Hyaluronic Acid for hydration. Since it contains active ingredients that chemically peel your skin you should keep in mind to use sunscreen during day. This is also noted on the packaging information. I used the serum during my night routine, and yet I use sunscreen during the day. The serum comes in a bottle with a dropper as a cap. The bottle is opaque, which is great in case of Vitamin C. The bottle is made of glass by the way and seems to be sturdy. Upon opening you see that the serum has a milky texture with a light yellowish color. It has an orange scent, which is not very intense or heavy. The serum has a smooth feeling upon application and feels hydrating, too. It sinks quickly into the skin and leaves a tiny bit of tackiness. I used the serum every night for the last 3 weeks. I enjoyed using it and I had no negative experience regarding texture or irritated skin. 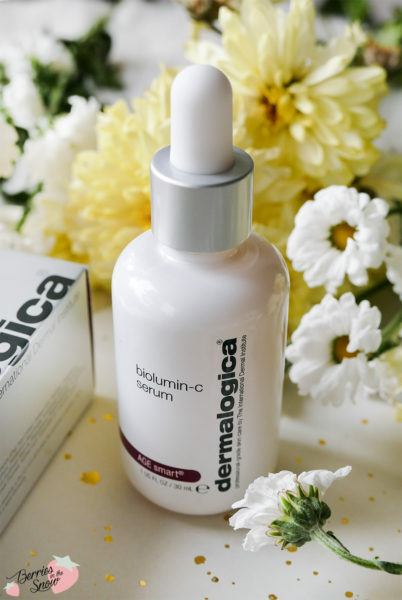 The Dermalogica Biolumin-C Serum works well with other products that are applied below or above the serum. I cannot say how it will work in combination with any makeup product though. What I definitely see is, that my skin is appearing more smooth and that my makeup gets less flakey these days. This is probably thanks to the combination of the AHA and VitaminC/E. I didn’t notice any big changes regarding wrinkles, but I don’t have very prominent ones either. I can confirm though, that the skin feels more glowy and plump. 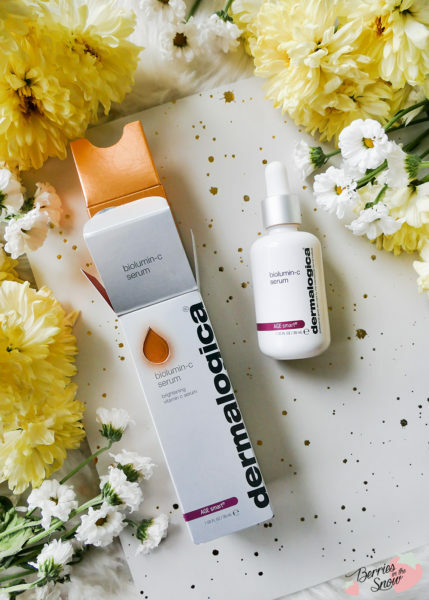 The Dermalogica Biolumon-C Serum was a positive surprise for me. It works nicely and combines some great and effective ingredients. I’m not sure, whether it will replace my all-time-favorite, the Klairs Freshly Juiced Vitamin Drop. Especially, since this serum is way pricier. 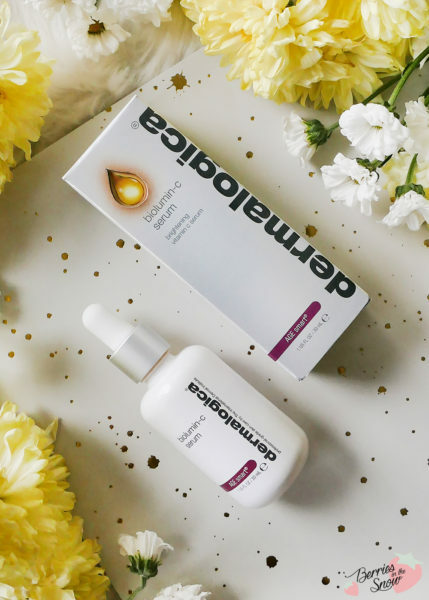 You can get the serum for 89€ from Dermalogica. Just as a short reminder: All products mentioned and reviewed on this blog are of my personal opinions. This product here was sent to me for reviewing purpose by https://www.brandsyoulove.de which doesn’t influence me in providing my honest opinion on the products. 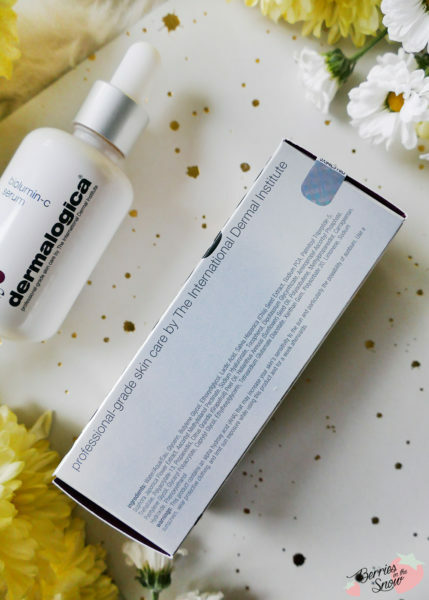 Ich hatte mal eine Augencreme von Dermalogica, die war so gut! Dieses Produkt klingt auch wirklich klasse.